BT is on the lookout for 15 young people in Middlesbrough who are ready to kick-start their working life with a free work placement. The three week course, which combines hands-on work experience and tech know-how with coaching and training, is open to anyone aged 16 to 24 not currently in education, employment or training. BT work placements offer the opportunity for people to build confidence and learn practical work skills such as CV writing and interview techniques. Attendees are given a certificate showing their attendance and achievements to demonstrate their commitment to prospective employers. The next work placement in Middlesbrough starts on June 4, 2018 and will be held at the BT offices on Marton Road in Middlesbrough. For more details or to apply visit www.bt.com/workready. The first week of the course focuses on building and developing key skills such as writing a stand out CV and application, interview techniques, self-confidence and computing skills. This is followed by a week ‘on the job’, shadowing employees and getting hands on experience of the working day. In Middlesbrough, this will be an opportunity to work alongside engineers from Openreach, the business responsible for Britain’s largest phone and broadband network, as they build and maintain the millions of miles of fibre and copper cables that connect UK home and businesses to local telephone exchanges. The final days of the work placement are spent doing mock interviews and developing an individual plan of the next steps to find employment or return to education. 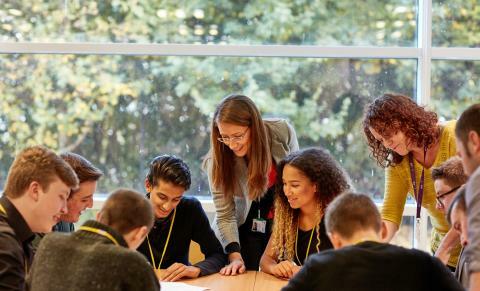 Simon Yellowley, chair of BT’s regional board in the North East, said: “A BT work placement is a fully supported programme, which can inspire young people, giving them the confidence and skills they need to either start their working life or return to education. Since 2014 and to date more than 3,500 young people from around the UK have participated in the programme.More than half of those who have completed have gone on to either gain employment or return to education.